UHCA has played a significant role in making Union Hill the diverse, vibrant and safe community in which we live. A small corps of committed individuals has with great skill and dedication provided UHCA leadership since its inception. This summer it became apparent that the future of the organization depends on engaging more of our neighbors and on Identifying new leadership. With that in mind, the September 17, 2013 meeting was focused on reaching consensus as to the future course of the organization. Please take a minute and look at the summary of that meeting. Everyone is encouraged to join the dialogue. Send your thoughts and comments to fieldmn@gmail.com. This is a "work in progress" with the only goal being an organization that meets the needs of the community. 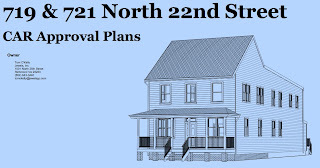 Plans for a new home on N. 22nd Street were presented at last nights UHCA meeting. If you have any questions about the plans, contact Tom O'Kelly at tomokelly@jewelsgc.com. We want this organization to be for everyone in the neighborhood, whether you own a home or are a renter. Please come on out and join the meeting. Everyone in the neighborhood is welcome! 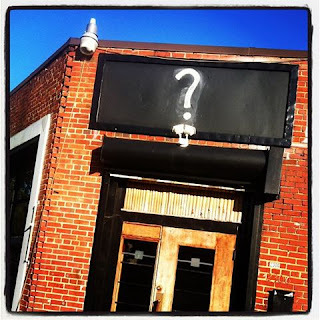 Coming soon: a new Union Hill business. Thursday, September 12, 2013 at 7pm, Union Hill residents are invited to learn about the soon-to-open market and sandwich shop at 2306 Jefferson Avenue. Dear Union Hill neighbors, We, Hunter Robertson, Gillian Field, and Shawn Tunstall, are excited to announce that we will be opening a new business in the commercial space at 2300-2306 Jefferson Avenue (formerly Johnson’s Southern Comfort).